Wheat Gluten, Glycerine, Poultry and Poultry by Products, Tapioca Starch, Wheat Flour, Sugar, Minerals, Poultry Liver Digest-spray Dried, Propylene Glycol, Iodised Salt, Flavor, Preservative, Soy Oil, Citric Acid, Food Colouring. 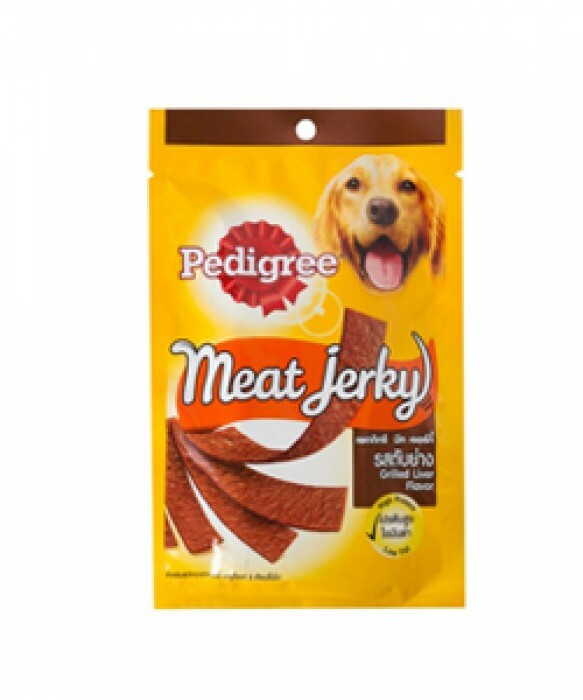 Share moments of happiness and joy with your dog with Pedigree Meat Jerky Stix Barbeque Chicken. The perfect combination of great tasting real meat and a soft chewy texture make this a special treat to share every day.